A big spoiler, cracking tailpipe, and a protective frame. A sight not yet witnessed by the residents and visitors of pre-Christmas Prague. 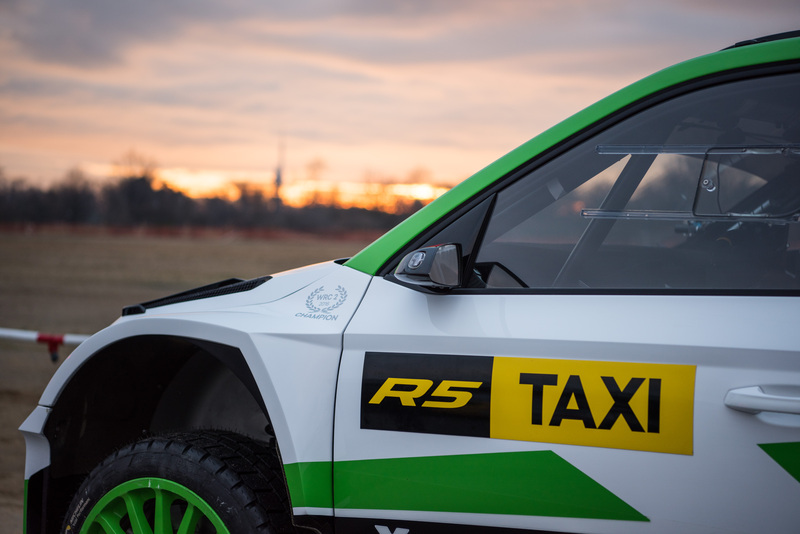 The ŠKODA Motorsport team decided to celebrate their winning season with their fans, so they took the FABIA R5 racecar as a taxi right into the historical center of Prague. 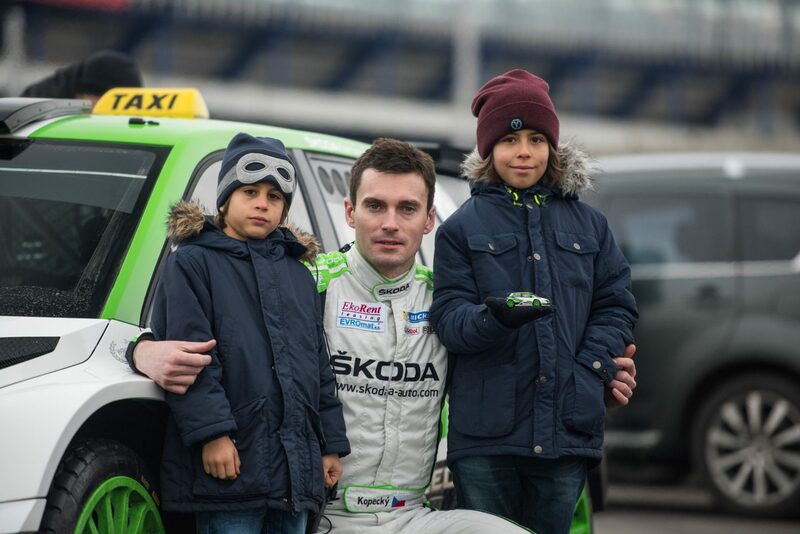 The taxi driver was Jan Kopecký – European rally champion, multiple champion for the Czech Republic, and regular competitor in the WRC2 category world championship. The idea was to share the excitement of a rally race to people who aren’t really familiar with motorsports. And that it did! “It was fantastic. An unreal experience. It was great to skid around the Christmas tree – I got a good close look at it. I was a bit scared, but I didn’t even need the motion sickness bag, it was really good. People were waving at us and recording us, and we got lots of attention,” recounts Vašek, one of more than twenty surprised passengers who got an unexpected ride. In addition to the festively decorated streets in the center of Prague, where even Kopecký had to slow down and follow the rules of traffic, the road also led to a special closed area in Prague’s Letná park. Here, on a track between specially prepared Christmas trees, he could let loose and show off behind the wheel of the ŠKODA FABIA R5 rally special. The fears turned out to be unfounded after all. As a taxi driver, Kopecký enjoyed lavish praise from his passengers, and all the vomit bags, stylishly designed in the R5 colors, disappeared with the passengers unused as a unique souvenir. “It was fantastic. It was really intense, but in the end it wasn’t as scary as I’d expected. The driver was awesome, so I wasn’t afraid. It was really weird to ride such a car through the middle of the city, but seriously cool,” said Kevin about his first impressions as a passenger. Putting together this great Prague surprise required a team of nearly one hundred people, and just arranging all the official permissions was a battle to the last minute. But for the ŠKODA Motorsport team, such a neck-to-neck race with time is merely a matter of course. What’s more, the racer taxi’s ride was followed by a specially modified six-wheeled buggy, literally strung with attached cameras, and a team of cameramen deployed in the streets – the cameras’ memory cards were passed in a continuous flow to the editors, and a water sprinkler truck spend the whole day keeping a good slick path for the ŠKODA FABIA R5.